This multi-coloured Christmas jumper features all of your favourite characters in one place. 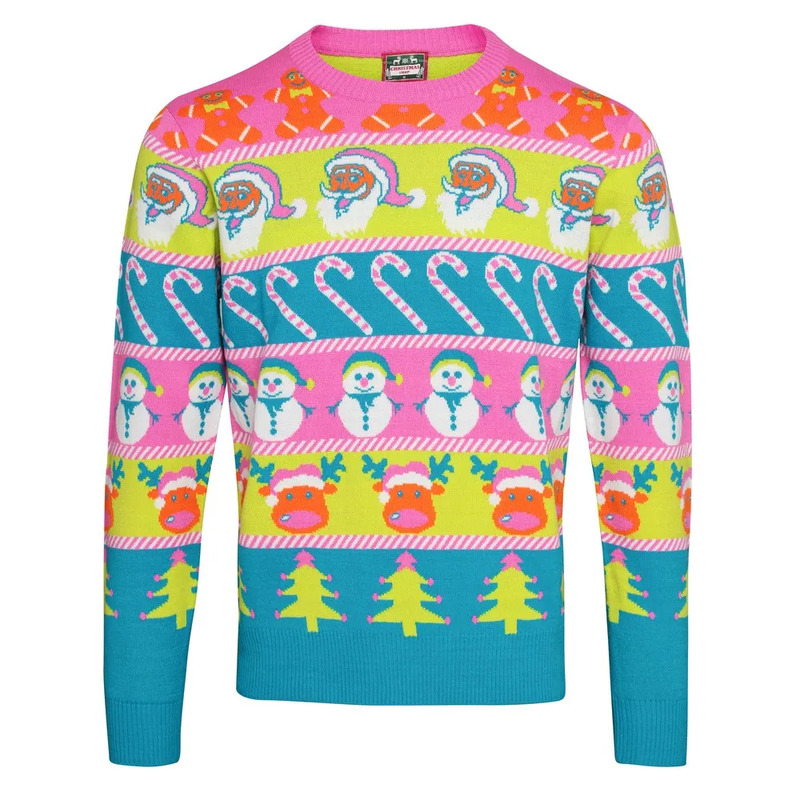 There are festive gingerbread men, Santa faces, striped candy canes, snowmen, reindeer and Christmas trees making this a fun jumper that stands out from the rest. With a ribbed knit on the neckline, cuffs and hem and 7 gauge. Sizes: XS (32in), S (34in), M (38in), L (40in), XL (44in), 2XL (48in).